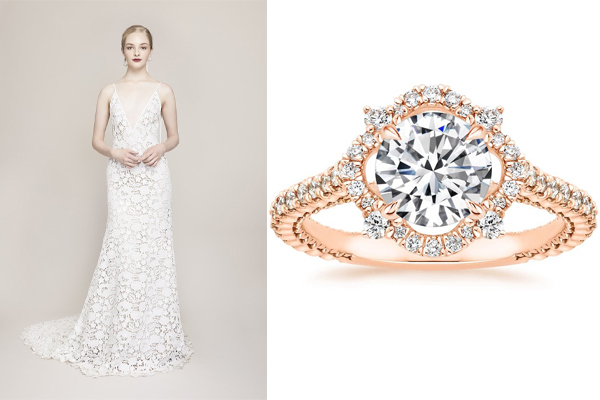 The ring and the dress: two signature elements of a bride-to-be’s big day. 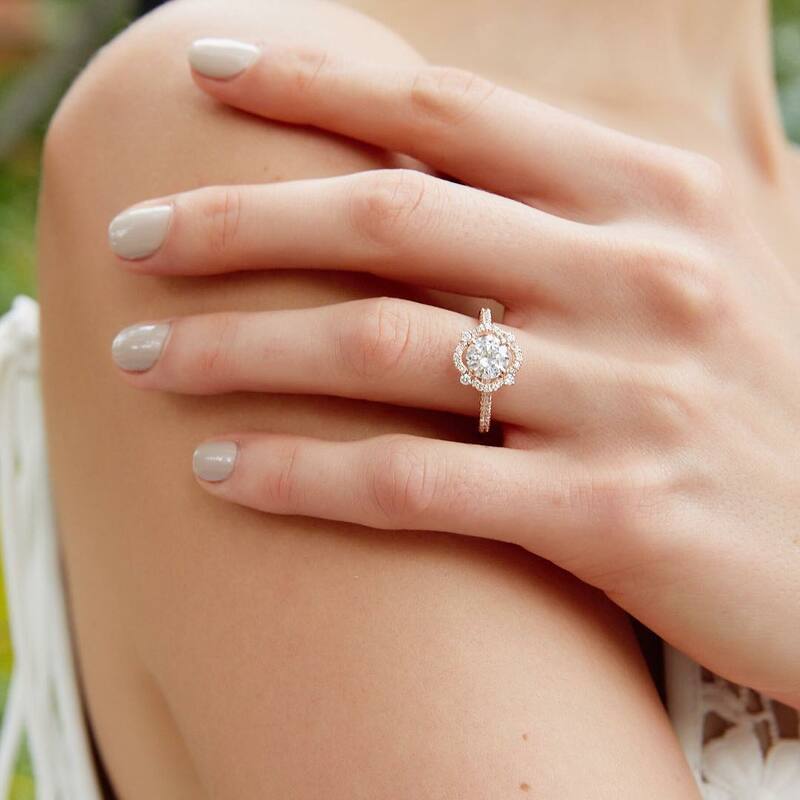 From wearing her dream engagement ring to rocking the perfect gown, brides everywhere look to feel their best and wow the crowd with a wedding-day style that’s all their own. 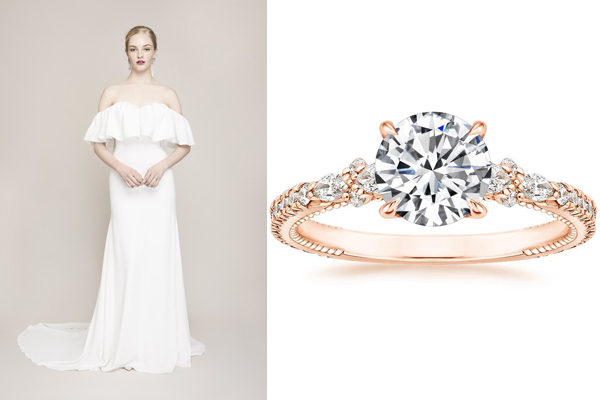 For brides seeking the perfect pairing, we’ve curated our favorite new wedding dress + bridal jewelry combinations, inspired by the Brilliant Earth X Lela Rose Collection! Complement the Aster Diamond Ring’s gorgeously intricate and chic design, with a wedding dress style that is simple and modern (not to mention very Meghan Markle-esque! ), like The Holbrook. 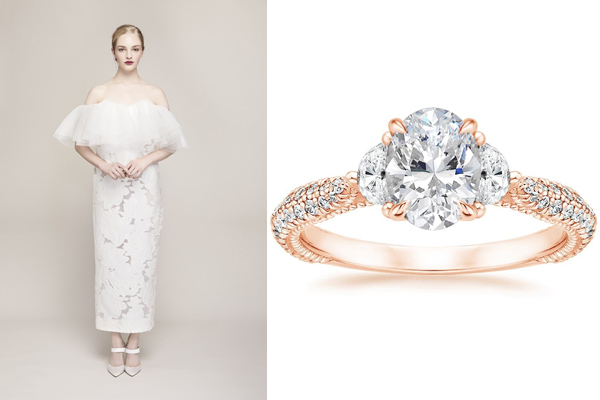 Own the room with an air of feminine elegance by coupling the delicate ring Primrose Diamond Ring with a silhouette hugging design, as seen in The Newberry. 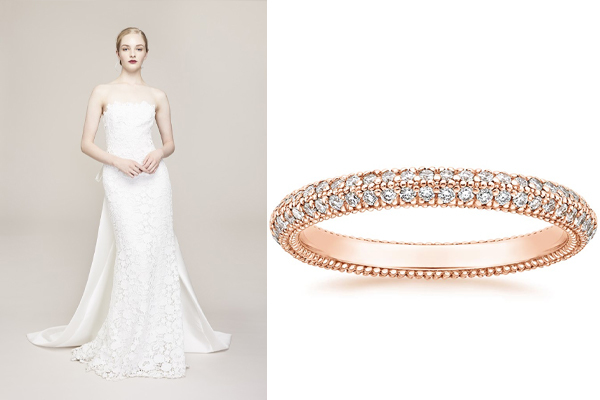 Pair a trend forward wedding band like the Sadie Eternity Diamond Ring with a dramatic dress such as The Belfast – the modified A-line shape and satin magnolia bow accent make this a sassy style. 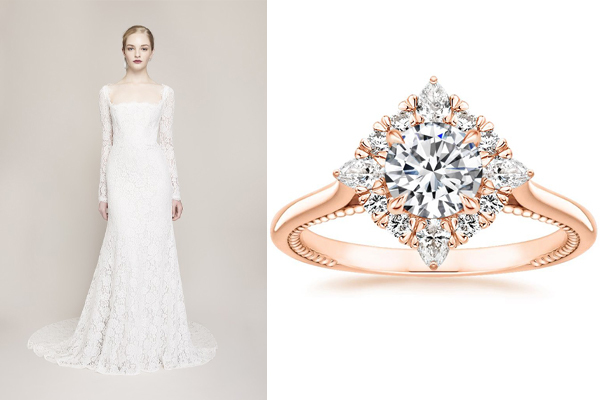 Which Lela Rose wedding dress is your favorite? Let us know in the comments below, or on our Instagram, Facebook, or Twitter!